Just west of Carlin is Palisade Canyon, another pinch point for the parallel Southern Pacific and Western Pacific mainlines. 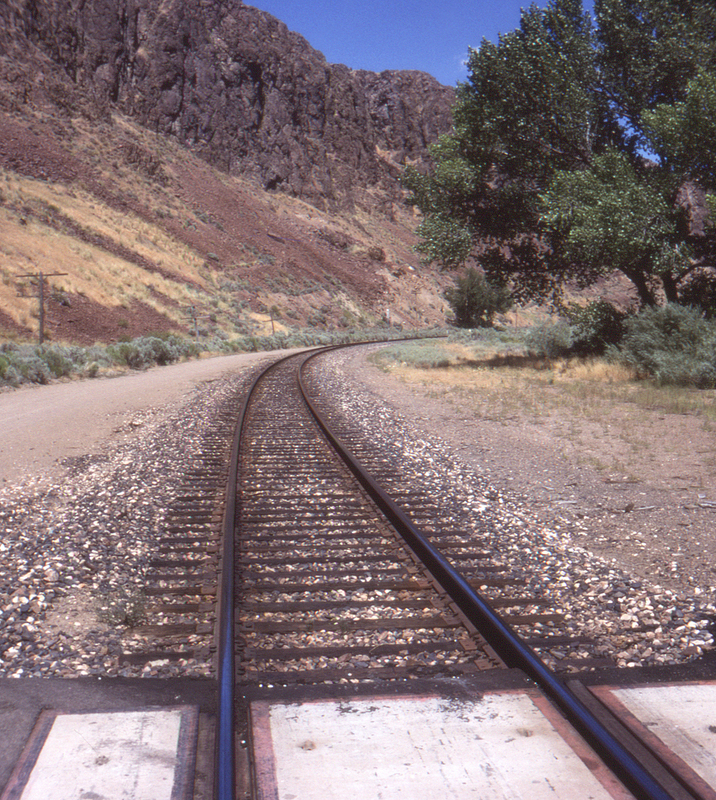 This is the Southern Pacific mainline just north of Palisade, Nevada, looking east (track direction). The WP main is out of sight to the right.